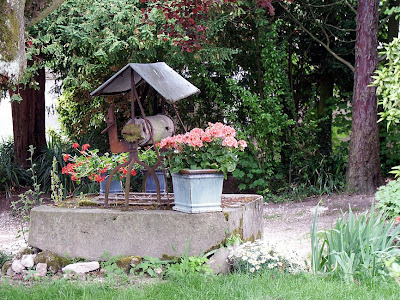 As well as a rose bush, I wouldn't mind at all if our well ends up looking something like this. 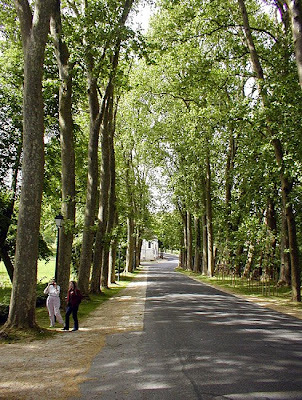 Susan wrote about plane trees, and how they are used to form avenues. This one is in the park at Richelieu. The building at the end of the avenue is a feasting house (banquet hall maybe?) that has rather a huge wine cellar underneath. 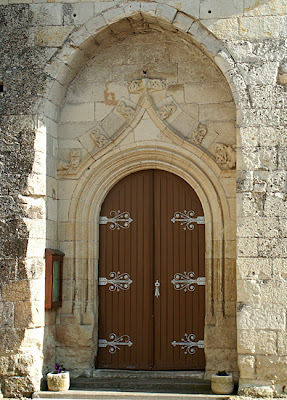 The wooden door frames and windows are beautifully carved with olive branches and other epicurian motifs. The stonework at the entrance has the finest rustication (a kind of stippling) that I have ever seen. Is this really what "The Lionheart" looked like? It certainly fits all the clichés for what a Plantagenet king should look like - a crown, a beard and sort of noble looking. 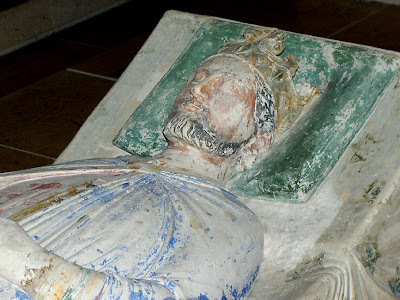 This is one of his tombs - the one at Fontevraud, where his body is buried. The one at Rouen is where they buried his heart. 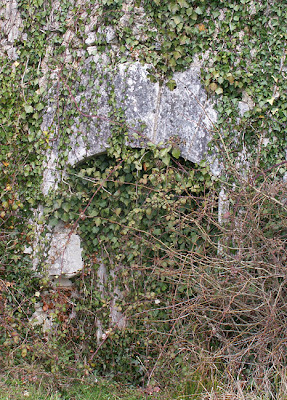 The tomb at Charroux contains his brain. I suppose over time we will collect the full set - but that does mean running the risk of getting lost in Rouen. Again. Buckwheat Fagopyrum esculentum, sarrasin or blé noir in French, is native to central Asia, but long introduced to western Europe as a crop of poor soil prone to waterlogging. It is a member of the Dock family and was once widely grown in the Brenne and Bretagne. The scientific name makes reference to the plant being tasty and edible. The pyramidal brown nutty flavoured seeds are ground for flour which is used in gallettes, those delicious lacy pancakes traditional in Bretagne and usually served with a savour filling and a bowl of cider. 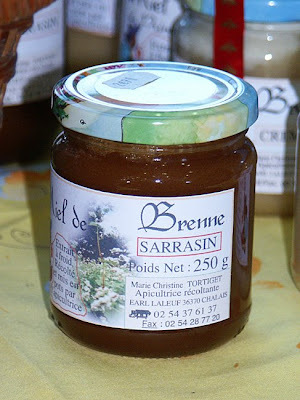 Sarrasin also produces another, less well known culinary delight - miel de sarrasin (buckwheat honey). 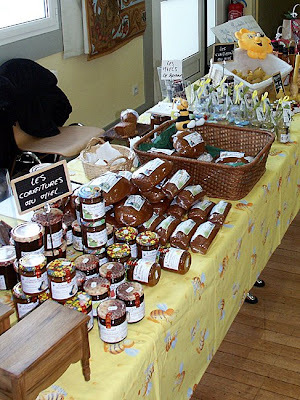 In the Brenne, apiarist Marie Christine Tortiget produces the strong dark crystaline honey and says it is perfect for making another local treat called pains d'épices (a rather dense warmly spicy cake, seen in the middle of the picture above). She also points out that buckwheat makes an excellent green manure and the honey is rich in minerals. Mme Tortiget describes her miel de sarrasin as smelling strongly of wood and earth, but I think the aroma is of damp hessian sack. Don't be put off - like many bosky smelling foods, the taste is distinctive and endorphin producing. 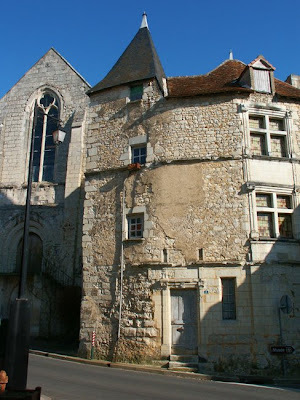 This 15th Century building on the main road through Preuilly sur Claise is a bit of a gem. Like many buildings in town it has suffered somewhat from the ravages of time, but not much in the way of "improvements". 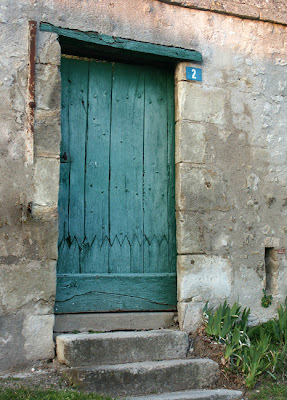 There are one or two places where stone has been replaced, but the overall impression is one of age and faded glory. If it wasn't for huge farm machinery, logging trucks and semi-trailers loaded with turkeys rumbling past (not to mention Norbert and his mates) you could almost imagine yourself back in time. Something that cheers my heart is the fact that it is still in use for its original purpose - it is a house, and still lived in. 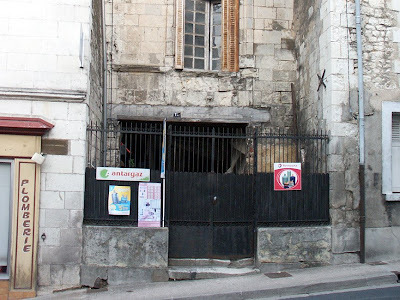 The building on the left is Notre-Dame des Echelles, a church founded in 1184. There will be more on this when we work out more of its complicated history. 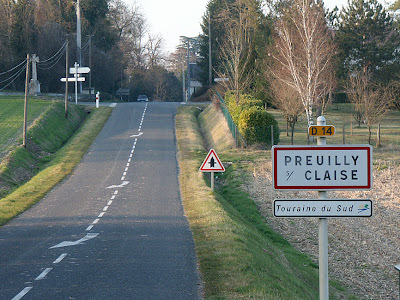 The communal forest of Preuilly covers a total area of 954ha just north-east of Preuilly sur Claise. This is made up of 575ha broadleaf forest (primarily oak), 327ha pine and 18ha of mixed forest. The mathematically adept amongst you will have noticed that this only adds up to 932ha. The remaining 22ha are étangs - well, we are in the land of a thousand lakes, after all. 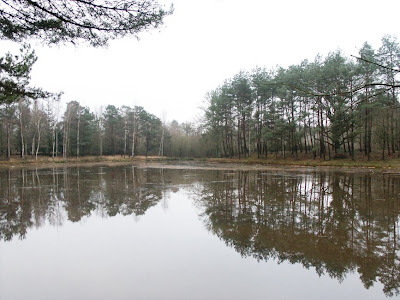 The altitude of the forest ranges between 119 and 144m above sea level and it is situated on the border of the Parc Naturel de la Brenne. 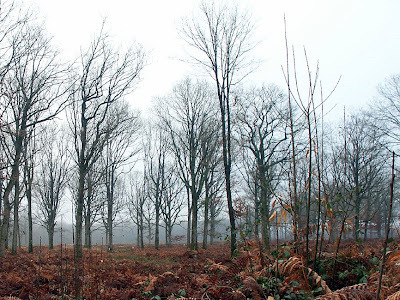 A relatively young section of forest on a cold mid-winter day In the 1st century BC, the Gauls exploited the forest for iron ore mining and smelting. In the Middle Ages the forest was part of the Baronnie de Preuilly. From the Renaissance to the mid-19th century, the forest was used to fuel the fourneaux de la Claise ie in the extraction of iron, the production of charcoal and as a dumping ground for the slag resulting from the processing of minerals. 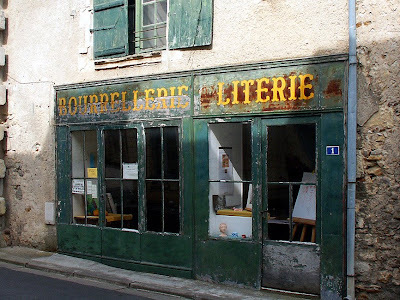 In the 19th century a tile factory operated from an area called la Fontaine Bourbon. 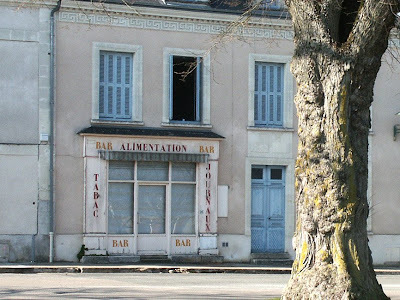 The map on the information board, with the forest itself beautifully reflected in the plexiglass At the time of the Revolution the forest was sold to the Château Azay-le-Ferron (the home of the Barons of Preuilly after they left Preuilly itself) and it remained part of the château lands until 1951-2 when the Hersent-Luzarche family gifted the forest to the town of Tours. 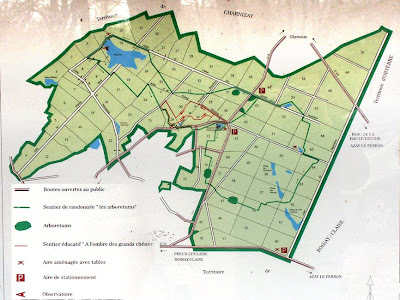 That is why the name is officially la forêt de Tours-Preuilly, even though Tours is at the opposite end of the départment. I have some really good ideas, many of which are either impractical or clearly nonsensical. 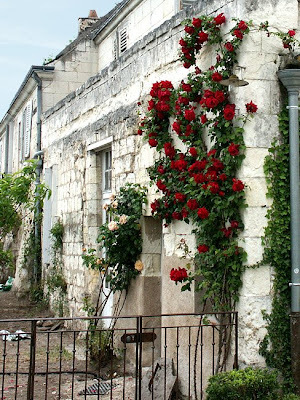 One I am fairly set on, though, is finding a way to grow a rose like this one (taken in Loches) up the wall of our house. 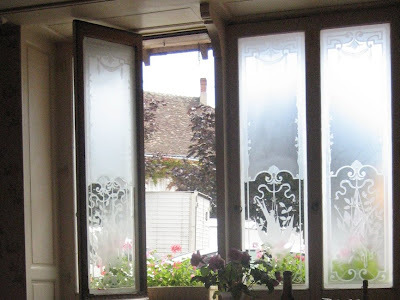 In a previous post I mentioned the etched glass in the dining room of L'Image in Preuilly-sur-Claise. 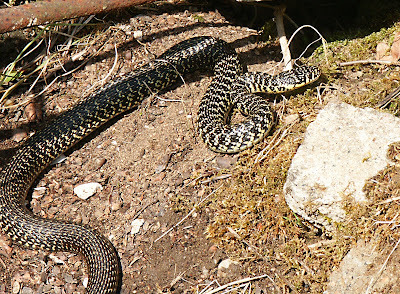 This photo was taken by our Australian friends Rick and Helen, who visited in the summer of 2007. For some reason, there are places I just haven't taken photos of - I will have to get myself a little list. 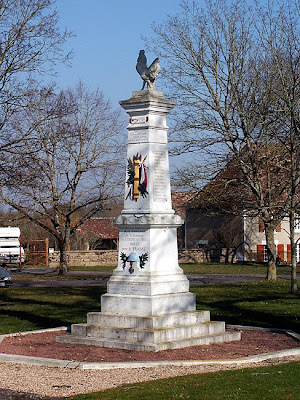 Every town and village in France (and a lot of hamlets) have a war memorial erected to remember those who died in World War One. After the Second World War, the names of those who died in service; either in the regular army or the resistance, and sometimes the names of people who were taken away and never returned - were added. The memorials are the centrepiece of services on the 11th November (Armistice 1918), a public holiday commemorating the end of WW1) and 8th May (Victoire 1945, a public holiday commemorating the end of WW2). 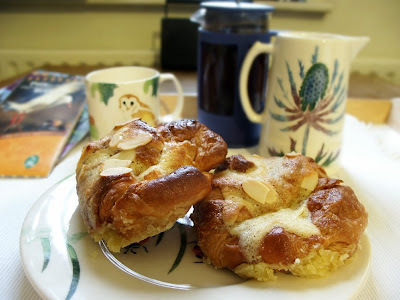 I don't suppose that I've invented a new game, but here are some croissants aux amandes I made recently. I made these after our blogger 'neighbour' Ken (Living the Life in Saint Aignan) posted about making them and provided a link to the recipe on Clothilde's blog Chocolate and Zucchini. So I link to Ken and he links to Clothilde. My notes after making these say I did not use the rum option (not fond of rum, especially for breakfast), and I agree with Ken that the recipe is enough for 8 croissants, not the mere 4 that Clothilde suggests. I did dip them in the syrup, unlike Ken, because, like Ken, I didn't heed Clothilde's advice to get the best possible croissants - I used Tesco Value all butter croissants . I made the syrup and the almond cream the night before and then put them together and baked for breakfast the next morning. In my oven, which I know is rather slow, they need 15 minutes at 190°C. They turned out so well I am going to experiment with chocolate ones and marmalade ones. Miam miam ! 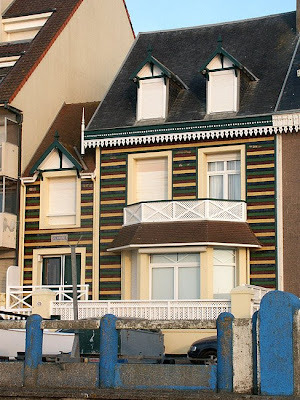 These houses aren't in Preuilly - or even anywhere close. 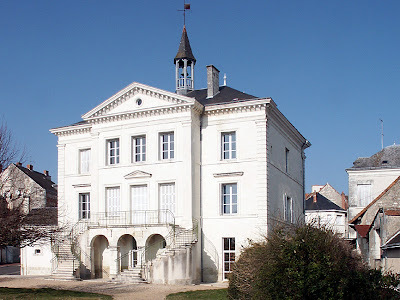 Observant readers will have notice that recently there has been very little talk about the house in Preuilly. Like many people in the western world we have been affected by the dodgy business practices of some US mortgage lenders. 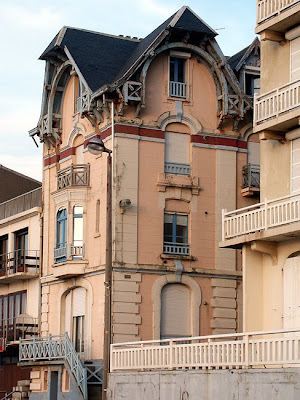 My house in Australia still isn't sold, so for now it's visit France when we can and do some work ourselves. All the big building work is currently on hold - but at least we have a good roof, which means the house shouldn't deteriorate any further. It now looks to me (unless I have misread the Nouvelle Republique online, which is always possible) that not only does Preuilly have a new Maire, but it has a new regime as well. The outgoing Socialist mayor has been in the Mairie for many a year and didn't head a ticket this year. 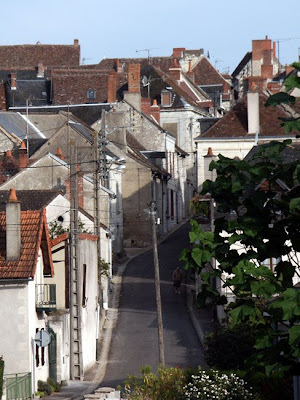 The election for a new council was a 3 way contest, and although we haven't been around Preuilly all that long, we have met all those heading lists (two of whom are near neighbours). The winner appears to be M.Bertucelli, the plumber, who ran a ticket as an independant. Preuilly has 15 local Councillors and this year three people chose to head lists. The lists are 14 others who all campaign on the same issues (it helps to think of it as a leader and his cabinet, as each member of the team is given a set of issues to deal with). In the first round of voting everyone who gets more than 50% of their possible votes is automatically on the Council. Voters can choose to vote for a list, or vote for 15 individuals. In Preuilly's case, M. Bertucelli got the most votes and 12 people on his list were elected. One other individual was elected and one place remained vacant as no one else received the requisite number of votes. This final place means that there is a second round of voting the following Sunday*. According to the local newspaper, M Bertucelli was very surprised by the result and was not expecting it. The paper says that 'lui a volé la vedette' - an expression which amused us greatly (literally it means 'he stole the speedboat' and is presumably the equivalent of the English 'to steal a march'). The Mayor is elected by the new Councillors at their first meeting. This first meeting will be presided over by whoever is the oldest Councillor and anyone who is not a French citizen cannot be elected as the Mayor or Deputy Mayor, although they can be Councillors. It has caused a certain amount of media interest that this year all over France many English people have been asked to stand, and quite a few have been elected. Any EU citizen who is a resident can vote in the communal elections so long as they register for the electoral role, but you cannot vote in the nationals unless you are a French citizen. This year in Preuilly turnout was about 70%, which is pretty amazing for a place where voting isn't compulsory. Average turnout for France was about 40%. Congratulations to M.Bertucelli, commiserations to those who campaigned but were not rewarded by the polls. *On the second Sunday another person from M. Bertucelli's list was elected. Bats are great fun, and bat watching as an after dinner activity is addictive. Last year I borrowed a bat detector from my friend Ken, who is the warden at Tower Hamlets Cemetery Park, and a bat lover from way back. 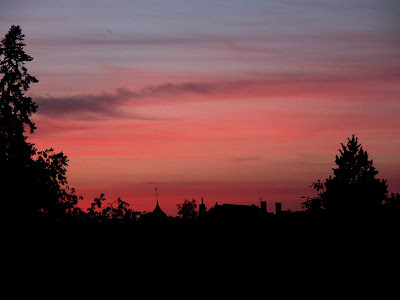 Every evening in the summer when we were in Preuilly, we stepped outside the back door, at 9.20 pm, armed with the bat detector and a camera. The bats come from a garden diagonally behind us. They come, at first just in ones and twos, but soon there is a veritable troupeau. They sweep a circuit over the bare earth that will one day be our garden, between the garage (stable) and the house and barn. They come across us and swing round over Ghislaine's garden next door. We sit on her garden wall and swivel our necks back and forth as if we are watching aerial tennis. You can hear the wings beating with the 'naked' ear and smarty pants musicians with superhuman hearing can sometimes hear the ultrasound clicks when a bat closes in on prey immediately overhead. They flit and wheel and swoop, endlessly entertaining. With the bat detector, we can follow individual bats. 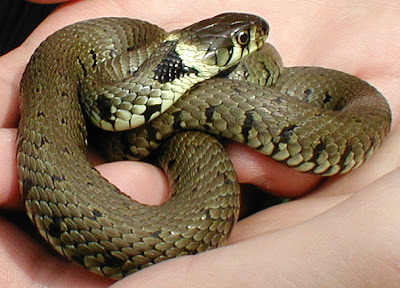 Plip plip plipipip pipipipipipipip pippipippipipipbrrrrrrrt. We seem to have two species close to the house - Soprano Pipistrelles and Brown Long-eared Bats. There is also what I think must be a third species, bigger, slower and never coming down to our level, crossing the sky in a much more classic Dracula movie style. This species is much less common and I have never seen more than two in the course of an evening's bat watching. 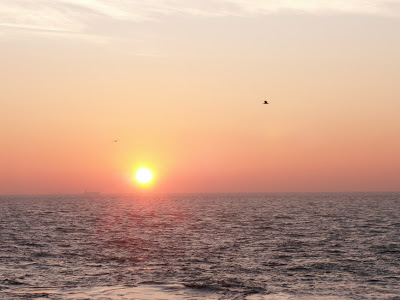 After yesterday's sunrise over the English Channel*, a sunset over the same body of water. 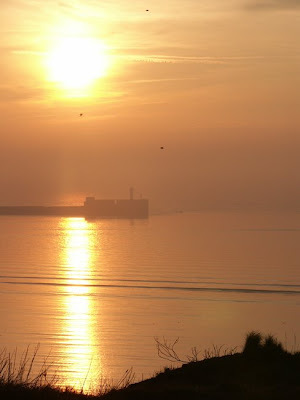 Taken overlooking the harbour at Boulogne-sur-Mer after driving from Preuilly. *Ok - La Manche, if you must. 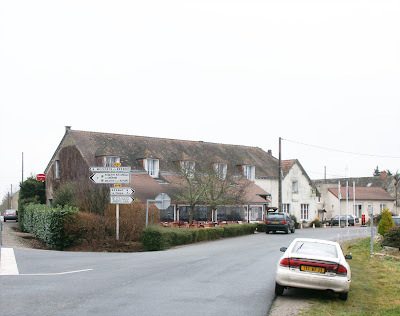 We travelled to Preuilly on the shortest day of 2007 for our Christmas break. Just as we were leaving Dover harbour the clouds cleared. As the owners of property in two countries and residing in a third, we have bank accounts in three countries with three different currencies. This may sound frightfully glamorous and jetsetting, but what it actually gives you is a recipe for frying your brain. I'm sure it would be fine if we were rich enough to not have to worry about the cost of anything, but as it is, our meagre supply of cash never seems to be in the country we want to spend it. The internet has helped a lot of course, so we can go online and view our accounts to our hearts content, and even shuffle money around within countries. But transferring funds internationally is still an expensive and head spinning palaver. In order to reduce the expense, we use a currency exchange company. To transfer money I telephone the currency exchange company, agree a rate and verbally agree a contract for them to purchase the desired currency. I then have three days to cough up the dough in the 'unwanted' currency. If it is coming from Australia, this involves faxing the bank with the request. They then ring me at 6am(!!!) my time the next morning and chirrup in a relaxed Aussie way at me while we establish my bona fides and agree that the transfer is to go ahead. Then the money is transferred to the currency exchange company, who in due course deposit it in with either our UK or French bank, in the appropriate currency. The whole process takes about a week, and the description above is a somewhat idealised précis of the experience and doesn't give any idea of the frustrations involved. Trying to work out what pounds are worth in euros is bad enough, but trying to remember the AUD equivalent as well is just too much. All I really know for sure is we don't have enough, and I don't know where it goes! Each of the institutions I deal with has a different set of procedures and a different style of customer service, which all adds to the brain scrambling at my end. For one I have a 6 digit password that can be any conformation I like, for another, an 8 digit password that must contain both numbers and letters, for one I have a 14!! digit password. For two of the banks I need more than one password to do certain transactions...and I am expected to keep all these passwords a deadly secret and not write them down anywhere! If I ring my UK bank I get to speak to someone in India. They are excruciatingly polite, but incapable of diverging from their script, so often do not help as much as they could. The staff at my Australian bank are based in the Head Office of an institution that until recently I would have compared to Northern Rock in the UK. They are locals and have the confidence of the well trained. I am generally thoroughly charmed and impressed by their manner and helpfulness, even when they tell me that what I want to do will take more time and cost more than I think is strictly necessary. The UK based currency exchange has similarly well trained staff in the main. 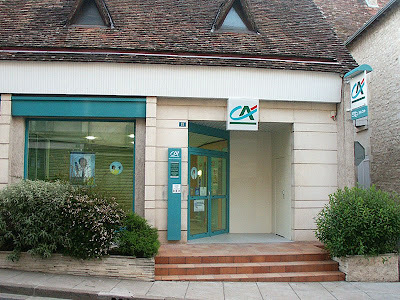 In France, the staff are charming also, but my lack of French is very apparent on the telephone, and visiting the bank in person is usually the only option. Here they are friendly, pleasant, amused by my French, but we sort things out in the end. Plus, we then exchange friendly greetings when we run into each other at lunchtime in l'Image. There are 1½ Australian Dollars to the Euro. There are 2½ Australian Dollars to the Pound. There are 1½ Euro to the Pound. 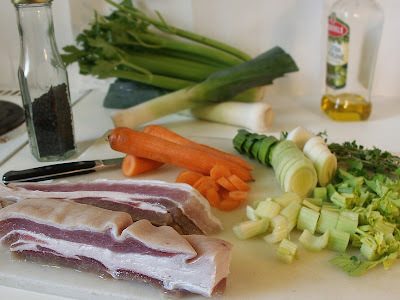 Once your pork belly has cured (and how many chances will I have for an opportunity to start an entry like that!) it is time to start preparing your petit salé aux lentilles. In addition to the petit sale you will need: some vegetables for making stock, bay leaves, garlic and peppercorns. And lentils. We prefer Puy lentils, but any green lentil will do at a push. First thing to do is soak the petit sale, otherwise your meal will be too salty - put in a bowl and cover with water and leave for an hour or two. Also, read the lentil instructions - they may (but probably won't) need pre soaking. Chop the vegetables into smallish bits (its doesn't matter how big, but standard dice sized is ok) and put in a saucepan with a little oil, bay leaves, peppercorns and whole garlic. Heat on medium heat to soften the veggies slightly then put in the petit sale and cover with water.As soon as the water starts to boil reduce the heat so that the water is just moving, cover and leave for a couple of hours (2 or 3, doesn't matter really). 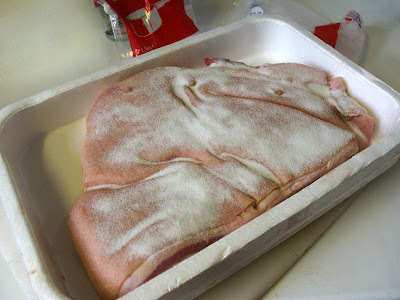 Once the meat is so soft it is difficult to move without destroying, remove it from the stock, put on a plate and cover. At this point classic advice is to remove the cooked veggies from your stock. I dont bother with that - I scoop out the bay leaves and peppercorns, put all the solids in a blender with a little stock and blitz it. I then return the mix to the saucepan and raise the heat slightly. Wash your lentils, put in the pan, reduce heat to a simmer, and leave until they are almost soft, but have a little bite in them. Add the pork back to the pan for 5 minutes. There you go - a very traditional French recipe for very little effort. 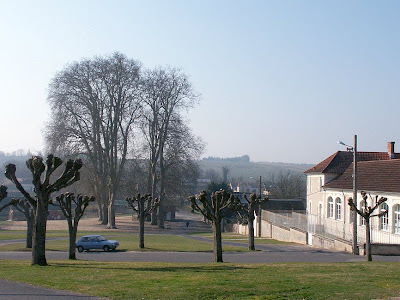 In the middle of Preuilly on the river by the lavoir there is a group of six enormous London Plane Trees Plantanus x hispanica which were planted in 1820. They have never been pollarded and have been allowed to simply grow and grow. They can be seen from all over town, looming over the rooftops in a great green mop, the effect exaggerated by how closely they are planted so that in leaf they all merge into one another and look like a stupendous single tree from a distance. 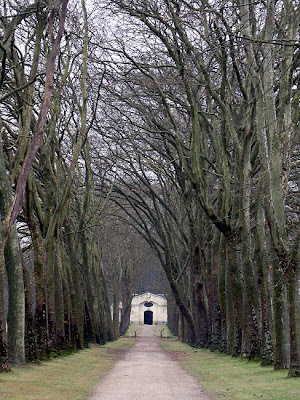 Many trees in public spaces in France are neatly pollarded and trimmed on an annual basis, unless the trees are intended to form an avenue, like these at Chanceaux pres Loches. Although our trees are planted in two rows, six trees hardly constitutes an avenue - they're there to shade the boules surface (court? arena? does anyone know the offical term? IS there an official term even?). Nevertheless, our Plane trees no doubt thrive due to their proximity to the river and a nice easily accessible water supply. Nearby, the Lime Trees Tilia in front of the school have been pruned every autumn for many years. The origins of the London Plane are shrouded in mystery. No one is sure whether they are a natural or a cultivated hybrid whose parentage is questionable. It may even be a sport ie a naturally occurring mutation that then breeds true. They appeared sometime in the 17th century and my friend Todd tells me that no one knows how long they live, as none has ever been recorded as dying of old age. 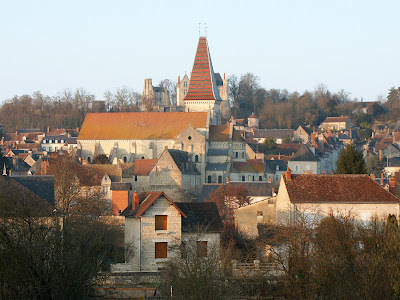 I have now been to Fontevraud twice - once with Susan and once with my parents. 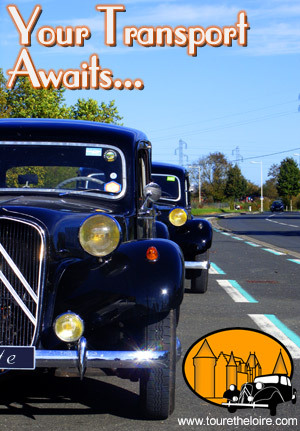 The route we like to take is via Richelieu. In a way it is an almost ideal place to start discovering how abbeys worked, and how they looked when in use. Usually in England an abbey or monastery is a pile of stones - which may be a beautiful ruin in a stunning location - but it takes a lot of imagination to see them in operation. When they are not a ruin they have been converted into a country house, obscuring the sense of them as monastic buildings just as effectively. 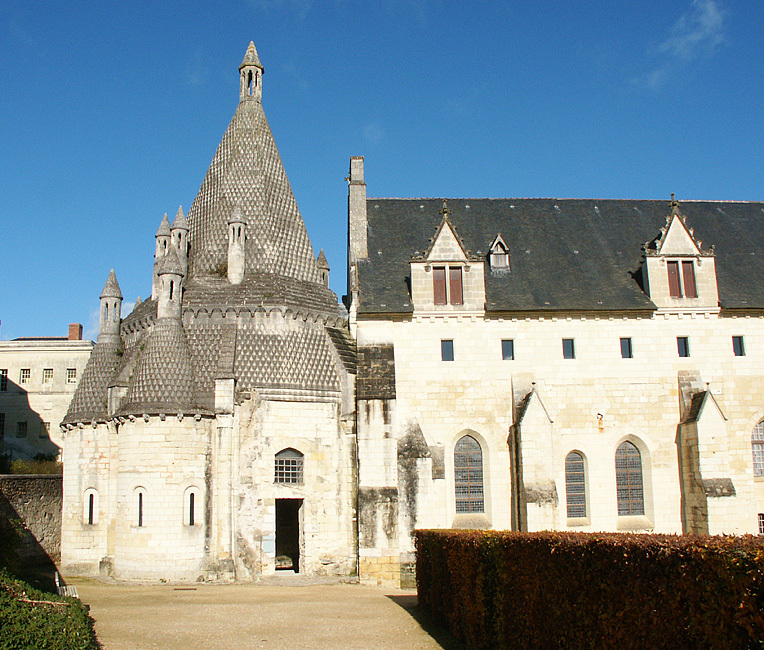 Fontevraud has almost the opposite problem. It is a brand new medieval church with its attendent brand new 16th and 17th century buildings, and struggles to give any idea of antiquity (until you go around the back and see the parts that are yet to be restored). There is also some rather fanciful 19th century style restoration of the kitchen building. 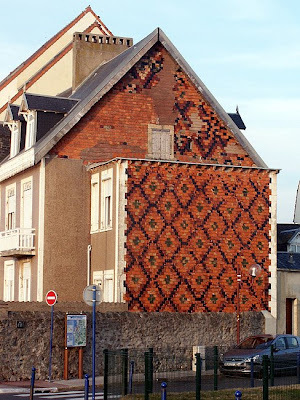 The more recent restoration is part of the largest ever heritage conservation program undertaken by the French government. 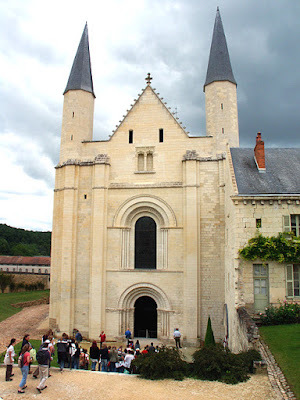 As a place where you can start seeing how a monastery/convent operated day to day it really works well. 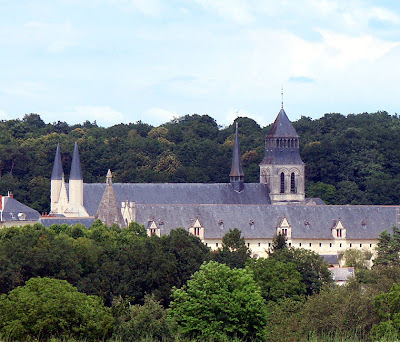 (Yes, you read right - a monastery/convent. 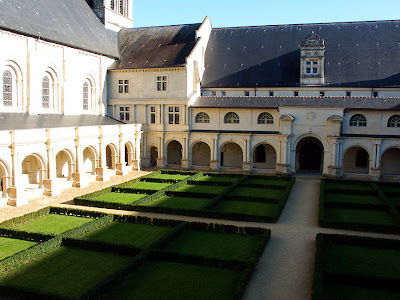 It was a double monastery with nuns and monks on the same site. No wonder there was talk.....). The order was always overseen by a woman, and these often came from distinguished families, as did many of the nuns. Amongst their number were members of the Plantaganet and Bourbon royal families. Its post revolution history is mixed. After Napoleon had what could be described as the an attack of the Henry VIII's it became a prison, and remained as such until 1963(!!) In places it still looks like a prison, too. Once you know that, you can look at the smooth shiny new bits a lot more sympathetically. A history of the buildings and their occupants can be found here. I previously mentioned the Tour de France. 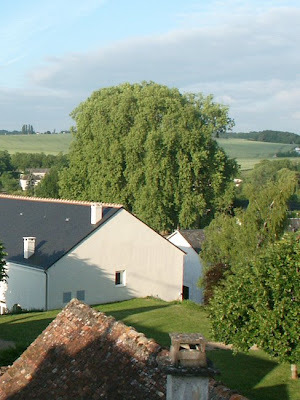 As I guessed - and Alan later confirmed, the tour is indeed passing through Preuilly on the 9th July - the route is here. The thing that now has me excited is that the only way they avoid cycling past the bottom of our street is if they cycle up our street. Somehow I don't think that likely! 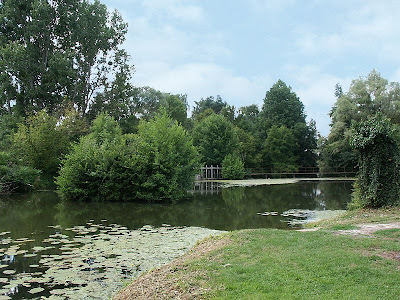 We have visited this spot in the Brenne a number of times, the first being Christmas 2006, the most memorable being in June 2007, but I think the most welcome stops we have made here have been in the depths of winter. Although you dont get the full benefit of sitting under the umbrellas looking at the étang there is something particularly right about sitting down to lunch in a warm restaurant after walking in the ice and frost. This goes doubly when you know you can have a near gourmet experience for very little money. As in a lot of the restaurants, most of the produce is local. In February we ate carp cooked in local herbs, which was amazingly delicious. In Australia one would never eat carp, which is a real problem introduced fish - yet it is illegal to return them to the water if caught. This means an awful lot of potentially good food gets wasted. Our ambition is to visit this region when the lakes get drained for the fish (it's easier than fishing - take the water from the fish rather than vice versa!) because the fish farmers sell their produce at the roadside. Susan has cooked Jean-Michel Chedozeau's recipe for Brenne Carp with Ste Maure de Touraine (thanks to chm for the recipe link) which proved to be simple and delicious - and works with any white freshwater fish. One of our favorite places in the village is the boat ramp above the weir on the Claise just as it leaves Preuilly. There is a seat that looks upstream, and this is the best place we have found so far for seeing a kingfisher in Preuilly itself. During the warmer months it is busy with dragonflies, and even though it is part of the plan d'eau it is peaceful, pretty and private. The only distraction is likely to be one of the local jardiniers anciens from the nearby potagers telling you how big the fish in the river used to be. This is usually the moment I manage to catch a flash of blue and orange out of the corner of my eye. It's no hardship though. It somehow feels a bit special that the locals want to stop and chat to a scruffy Australian interloper. This photo was taken from a different place from all of our other photos. I think February is a great month for taking photos: common wisdom is that you don't get really good light for landscape photos between 10am and 2pm because of the angle of the sun. In February the sun never gets really high in the sky, so the shadows are always quite long and as long as the sun isn't in front of you the light isn't so even that it washes out colour and detail. 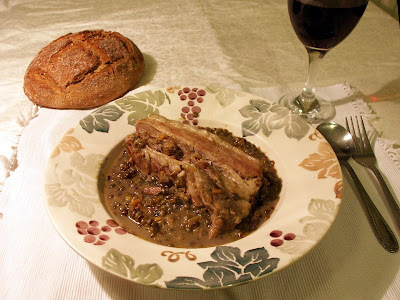 Petit salé aux lentilles is one of my favorite French dishes. It probably isn't the best dish for people on low salt/low fat diets, but we all have our sins. Luckily, it is not a difficult recipe to prepare. 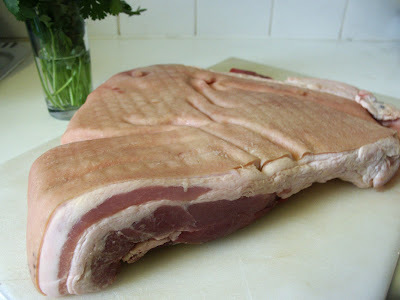 We like to cure our own pork, partly because it is cheaper, but mainly because it is difficult to get petit salé in London. 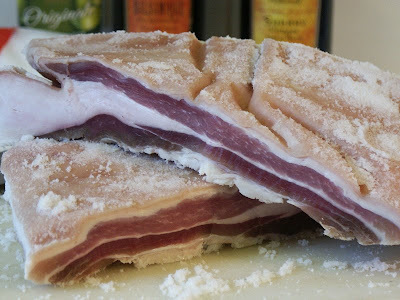 You need a fairly large piece of pork belly, with the rind left on, and lots of salt (at least 1kg/2lb). I use the cheapest salt I can find. Some people add juniper berries, sugar, bay leaves or pepper to the mix - I prefer to keep it as simple as possible. Wipe the meat with a clean cloth - this removes excess moisture. Rub salt into the meat and pour enough salt into a large container (plastic or ceramic) to completely cover the bottom by 1cm (1/2 inch) . 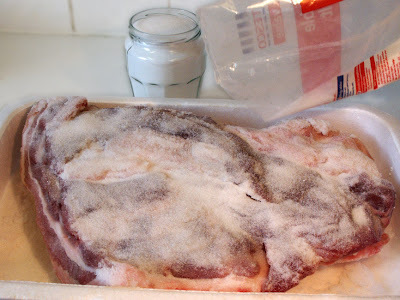 Lay the meat in the container, sprinkle a little more salt over the top, cover, and put in a cool place. Check the container every day, pour off any excess juice the salt may have extracted from the meat, then add a little more salt. You will notice that the salt is starting to colour at this stage, but don't worry about that. I usually turn the meat over and sprinkle more salt as well. Repeat this process for at least 5 days. During this time the meat will shrink slightly (it's losing moisture, after all) and darken. It will also become slightly leathery and less pliable. By the end of the 5 days I usually have the meat completely packed in salt. 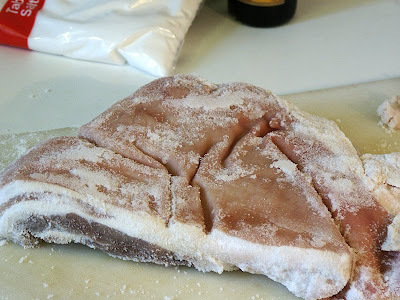 Once you think the meat is sufficiently cured (in this case 8 days) remove the meat from the salt. At this stage the meat can be wrapped in a clean cloth and stored in a cold place or you can start butchering. Compare this photo to the first and you can see how much the meat has changed. 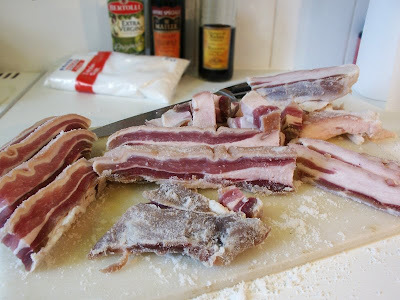 This piece was large enough that I managed to cut a pound (500g) of lardons, petit salé for 6 serves of petit salé aux lentilles, 6 thick rashers of streaky bacon and a half a pound of bacon fat for rendering. 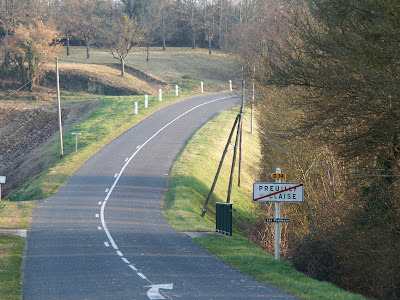 Compared to the speed limits on the Autoroutes (130kmh/80mph in the dry), speed limits in towns are quite low. The default speed limit in towns is 50kmh/30mph, and you have to keep your wits about you - the speed limit is not shown on a sign. Instead, as you enter a town you will see a sign with a red border giving the town name. This is your cue to slow down. The sign is often placed a fair distance before the town, giving you the opportunity to slow down without standing on the brakes. This sign in Preuilly is about 300 metres earlier than I would have guessed. You may then get a sign showing 50 in a red circle, with the word RAPPEL below it. This is a reminder, not the start of the lower speed limit. When you leave town you get another sign, similar to the entering town sign, but crossed out; You then revert to the out of town speed - this is not shown on a sign either, so once again you have to think about where you are and the kind of road you are driving on. Inside a town there may be places where the speed limit is lower; you will actually get a sign telling you what the limit is.